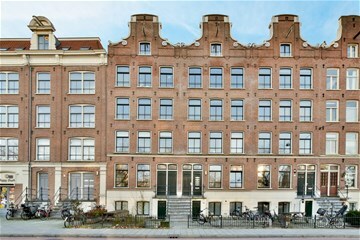 Mauritskade 107 A Amsterdam Oost - Ramon Mossel Makelaardij o.g. B.V.
Beautiful two-bedroom apartment with a great layout and a panoramic view of the canal that has a total floorspace of approximately 85 sq. 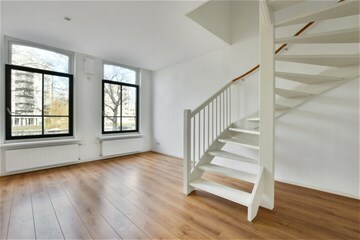 m. The home is spread across two floors and has a storage room on the ground floor. The neighbourhood is characterized by its central location and a large selection of characteristic shops and lots of culture and entertainment. 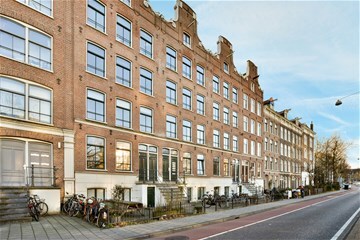 Dappermarkt is around the corner of the apartment, and Waterlooplein (city centre) and Albert Cuypmarkt (Zuid) are a ten-minute cycle away. Artis Zoo, Oosterpark, Carré theatre, Tropenmuseum, Kriterion film theatre and Javastraat with its trendy restaurants and choice of bars and clubs and Hotel Arena, IJsbreker and Beukenplein are all within walking distance. Various schools, University of Amsterdam and AUAS buildings, and the OLVG hospital are also nearby. The public transport connections (metro, tram and bus) are excellent and main roads such as Wibautstraat (S112) are easily accessible by car. For the runners and park lovers: Oosterpark is a mere stone’s throw away. 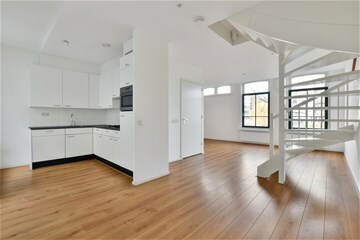 Communal entrance, foyer, meter cupboard, toilet with hand basin, sunny, open-plan living room at the rear and a kitchen with fitted appliances. There is a Juliet balcony at the rear. 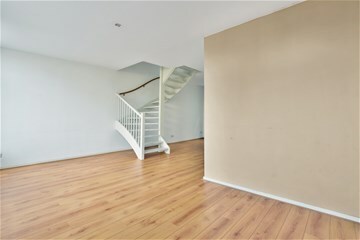 A staircase in the living room to the first floor. Bedroom at the front spanning the entire width of the apartment; separate toilet with hand basin, generously-proportioned bathroom with bath, shower and double wash basin. Large bedroom to the rear of the property with a wash basin and a Juliet balcony. 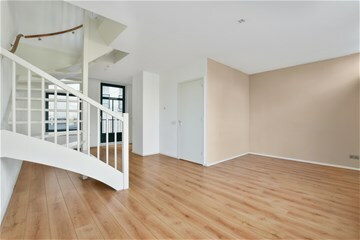 - The property is located on the elevated ground floor and the first floor, making the apartment very light.